The maker of Magners cider looks to have saved around 2,000 jobs at collapsed drinks business Conviviality after a ?100m deal to buy major parts of the company. Dublin-based C&C has bought Conviviality's drinks distribution business Matthew Clark - one of the UK's biggest suppliers to the on-trade serving more than 20,000 pubs - and its wine-focused business Bibendum out of administration. Conviviality announced plans to call in administrators last month, although it has not yet appointed administrators on a group level. PwC was, however, appointed administrators of the wholesale side of the business today and, on appointment, transferred the shareholding of the Matthew Clark Bibendum business over to C&C. C&C chief executive Stephen Glancey said his company paid a nominal ?1 for both businesses and their subsidiaries but paid the failed firm's banks ?102m - more than half the ?180m debt Conviviality owed to its lenders. The companies will trade under the combined name of Matthew Clark Bibendum and account for roughly 2,000 of the 2,500 jobs at Conviviality prior to its collapse. "This is good news for jobs as the vast majority of the 2,000 roles we will keep," Mr Glancey said. "We haven't bought the business to try and achieve synergies and take costs out." Brewing giant Anheuser-Busch InBev, which makes Budweiser and Stella Artois, has lent C&C some of the money for the deal but Mr Glancey said the Belgium-headquartered company had no equity stake in the acquisition or management involvement. He declined to disclose the size of the loan or the terms of its repayment. As the largest customer to Matthew Clark, AB InBev's sales to the pub sector could have taken a hit had the distribution company ceased trading. But Mr Glancey insisted the brewer also felt stepping in "was the right thing to do for the UK hospitality industry". "If these businesses had gone under, there were quite a lot of small craft brewers, gin distillers and the likes, who would have been under real pressure because of money owed to suppliers," he said. C&C already has distribution capabilities in Ireland and Scotland, where it makes Tennent's beer, but the addition of Matthew Clark Bibendum will give it a drinks delivery business with a vast presence in England via its 27,000 pub, bar and restaurant customers including JD Wetherspoon and Slug & Lettuce owner Stonegate. Mr Glancey said the deal, which will see C&C take on a call centre in Bristol and various warehouses around the country, would lift earnings in the first full year following the completion of the deal. The agreement was struck rapidly after Conviviality's advisers PwC contacted C&C late last week with a final deal hammered out on Tuesday. Mr Glancey said the banks that were owed money by Conviviality had "done the right thing" by agreeing a deal with C&C given its experience in distribution for major customers including Coca-Cola, Molson Coors and Guinness brewer Diageo. 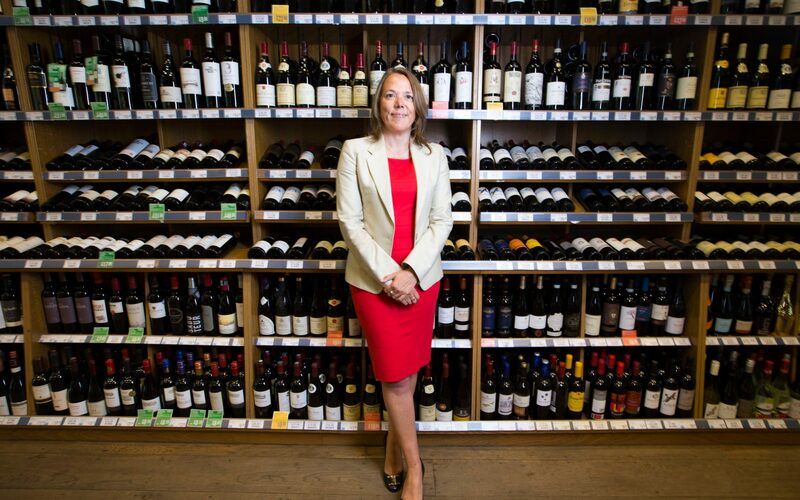 Conviviality, which also owns the Bargain Booze and Wine Rack chains, ran into trouble last month after it revealed a string of profit warnings and an unexpected ?30m tax bill. It promptly axed its chief executive Diana Hunter, who had overseen its breakneck expansion since floating on Aim in 2013. Last month Conviviality failed in a last-ditch attempt to raise ?125m from investors, reporting "insufficient demand". It had been expected to formally appoint PwC as administrators today, but in the afternoon said it was continuing "to pursue opportunities in respect of the Conviviality Retail business". The fate of its off-licence chains remains uncertain.